This past month I didn’t make too much progress on my reading challenges because I mostly read books for categories I’ve already checked off, but I did catch up on my Goodreads challenge number which I had fallen behind on! Once again, I’m joining Modern Mrs. Darcy’s Quick Lit link-up where readers share short and sweet reviews of what they’ve been reading lately. My Book of the Month selection from February that I’ve been eagerly awaiting the chance to read! Alaska in the 1970s was a riveting place: an eclectic community so attuned to changing weather and seasons. My heart went out to the Allbright family, the father who came back from Vietnam so very damaged and whose wife and daughter had to endure the consequences. I did have some issues with the decisions that the mother and daughter did (or did not) make, but it’s easy for me to judge sitting on the sidelines. I wasn’t in their shoes. The book was tense and heartbreaking. I had to put it down a couple of times to take some deep breaths and sometimes even take a break before continuing. It didn’t disappoint. It was a great read that I highly recommend. This was a totally unplanned read, but I recognized the book at the library as a Modern Mrs. Darcy 2018 Summer Reading Guide pick and couldn’t resist picking it up since it was available. It took place in the 1990s in a small town in Delaware. It was about a woman whose mysterious past was revealed piecemeal through various third person perspectives. I had a little trouble keeping straight who knew what since there were so many secrets being kept, but otherwise it was a quick and enjoyable read (though I’m still processing the ending and deciding what I think about that). 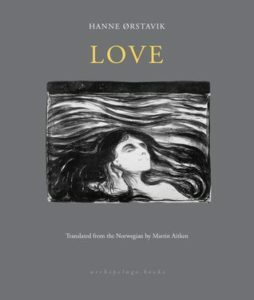 I first became aware of this author last summer when I was researching Norwegian female authors for Women in Translation Month (#WITmonth): Norwegian Women in Translation for WITmonth. 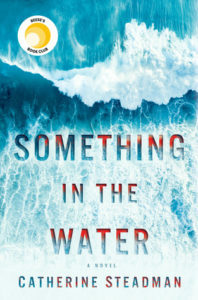 Then the author came back on my radar when I was doing The Reading Women’s Instagram challenge this summer and needed a book with a one-word title. It wasn’t really on my immediate TBR list until I got a physical copy in my hands. It’s a lovely little book — slim, no bigger than my palm, with an elegant cover. I couldn’t resist reading it right away. It’s about an 8-year-old boy and his mother who had recently moved to a remote village in northern Norway. They live together but lead totally separate lives. The story takes place one very cold winter night in the space of only a few hours. The boy is eagerly anticipating his birthday the next day, but his mother is wrapped up in her own world and desires. It alternates between the boy’s and the mother’s separate outings during the evening. What I thought might happen didn’t, and what I didn’t anticipate happened. It was a sad but beautiful story. At times it actually felt somewhat surreal. I love traveling to a different time and place through books. 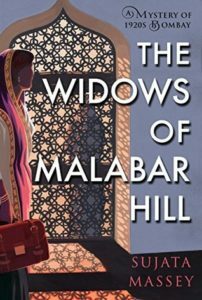 This book took me to Bombay, India, in the 1920s, which was extremely interesting to me. It was a very multicultural place with many groups of people I have little knowledge about, in particular Muslim women living in full purdah (seclusion) and Zoroastrian families. I enjoyed the mystery and getting a look at the lives of women during that time. I was not wholeheartedly a fan of the main character Perveen Mistry. I loved that she was an independent and modern woman (she was the only woman at law school and later the first female lawyer in Bombay). However, I felt she made some rash decisions occasionally which contradicted how smart I thought she was. Overall, I enjoyed the book and will most likely read the next one in the series when it comes out. I thought I’d give Reese Witherspoon’s Book Club pick a chance since it seemed like the perfect summer read. Unfortunately, I was not a fan. Too many dumb decisions and paranoia leading the plot and too many unnecessary story points added to it. The whole novel is the wife Erin telling the reader what happened, similar to a stream of consciousness. The writing didn’t impress me. Even the setting of Bora Bora didn’t impress me. It wasn’t much of a thriller for me either. I predicted the main part of the outcome, though not exactly how Erin ended up where she began in the first chapter. I finished it quickly, mostly because I wanted to see if there was a redeeming factor at the end, but also because I wanted to move on to my next book. I’m curious to hear what others thought of this book. Disclaimer: AVikingInLA is a participant in the Amazon Services LLC Associates Program, an affiliate advertising program designed to provide a means for sites to earn advertising fees by advertising and linking to amazon.com. 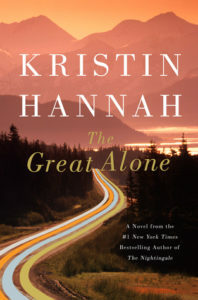 This entry was posted in Books & Reading and tagged #IdRatherBeReading, #readharder, #ReadingWomenChallenge, #ReesesBookClub, #ScandiReadingChallenge, #womenintranslation, Hanne Ørstavik, Norwegian Lit, QuickLit by Patricia Zanuck. Bookmark the permalink. 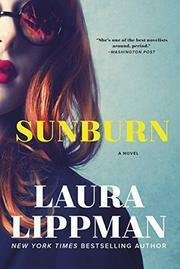 I have read Sunburn and The Widows based on Anne’s recs. I enjoyed them both. Widows was special for me in that it was set in another place and time; a place I know precious little about. i enjoyed being exposed to the different culture. Me, too! I love books that explore a different time and place and expose me to unfamiliar cultures!